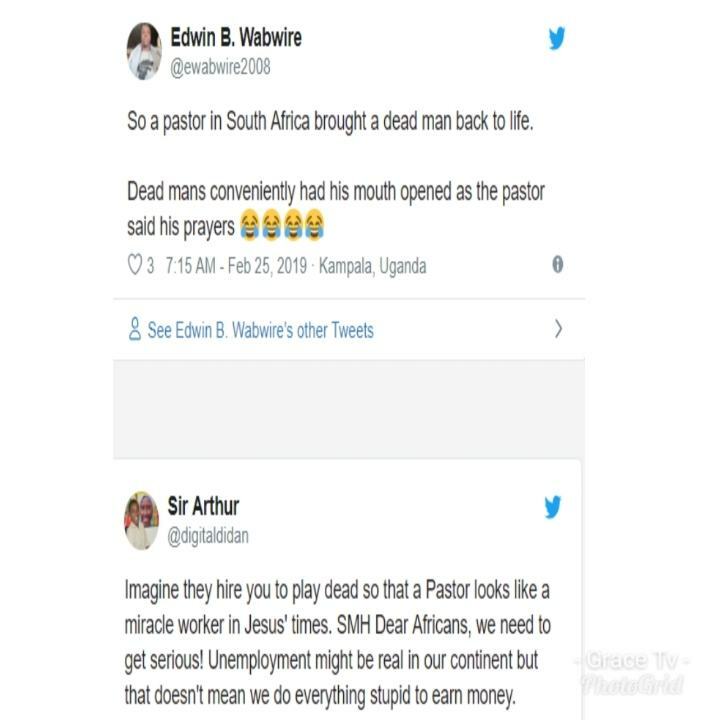 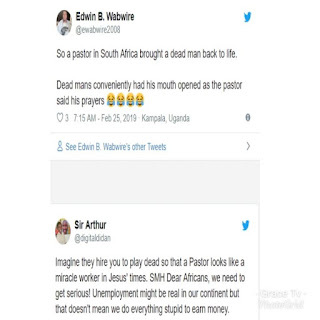 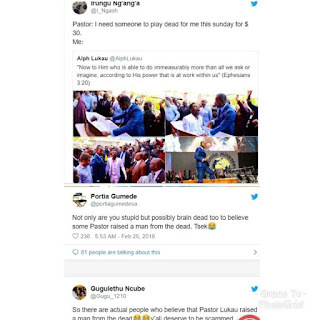 A video of Pastor Alph Lukau of Alleluia Ministries International in South Africabringing a 'dead man' back to life during church service has gone viral on social media. 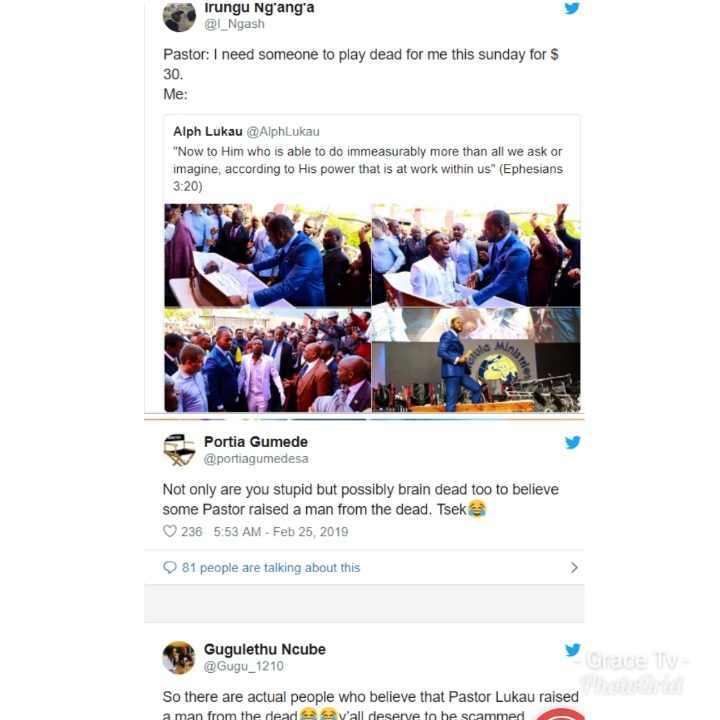 During his service on Sunday, the coffin with the man's body was placed outside the church as a crowd gathered around it. 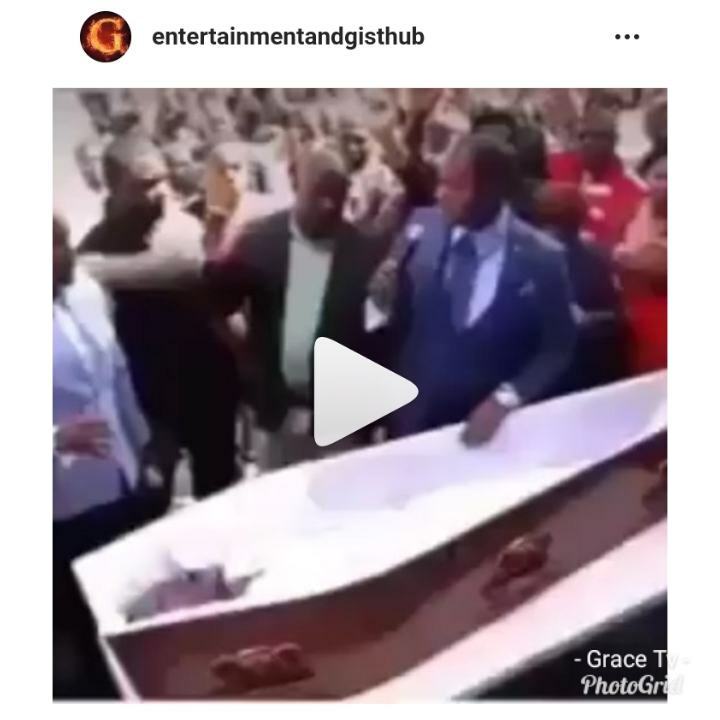 In the video, a woman who claims to be the man's landlord told the pastor that the man got sick and started coughing on Friday, after which they rushed him to the hospital, where he died.